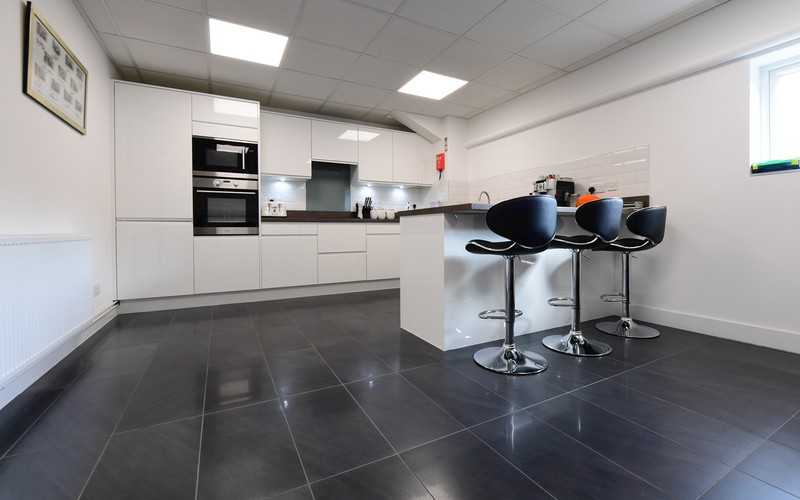 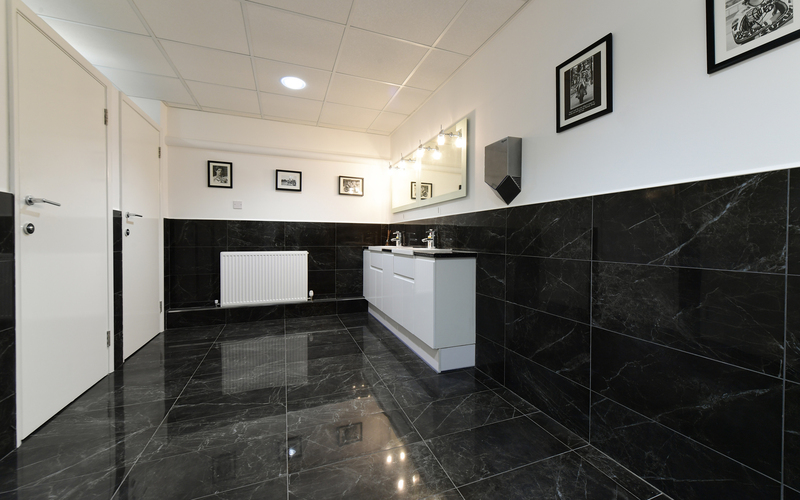 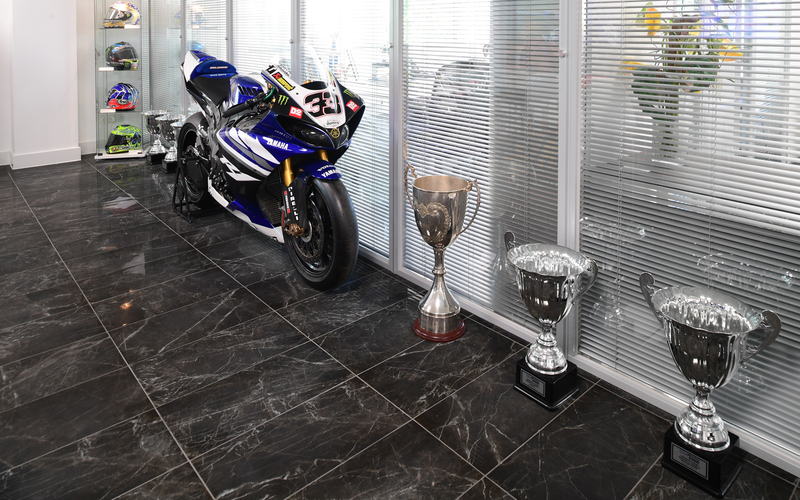 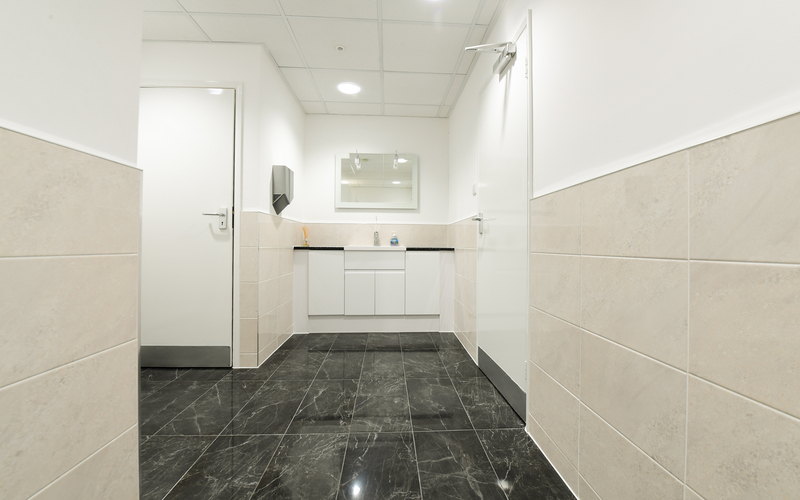 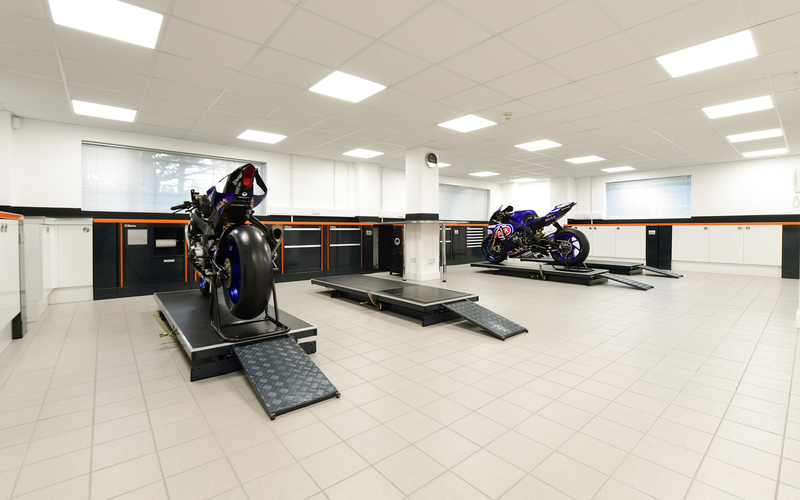 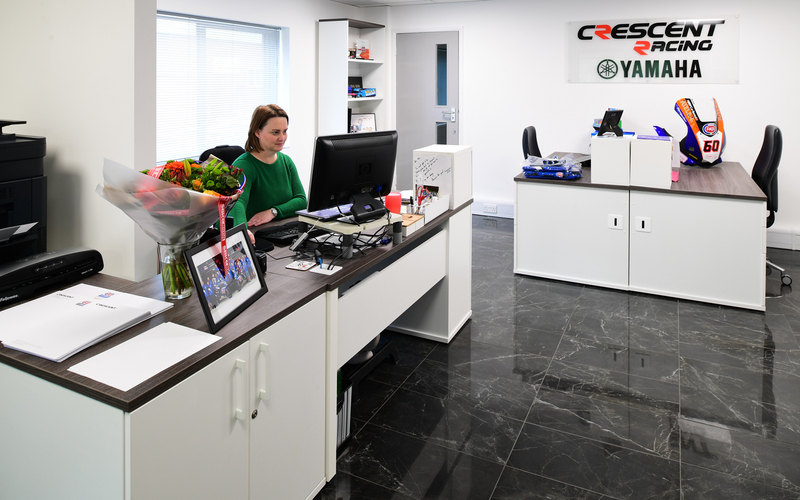 The Crescent Motorcycle Co… operators of the Yamaha World Superbike Team have specified Minoli for their new facility in Verwood Dorset. 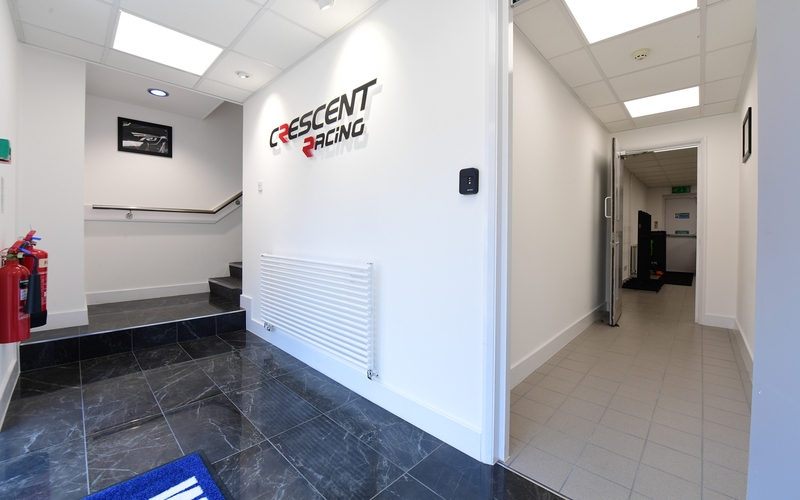 The purpose built unit, which houses the full race team organisation was designed by team principal and MD of Crescent Mr Paul Denning. 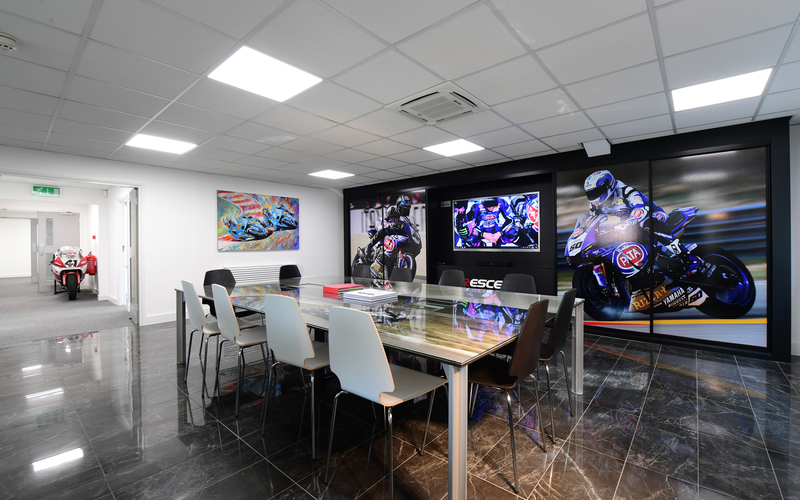 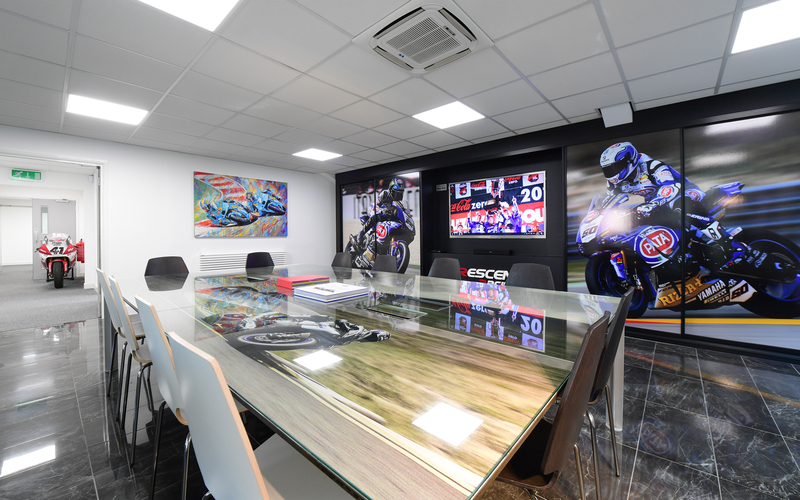 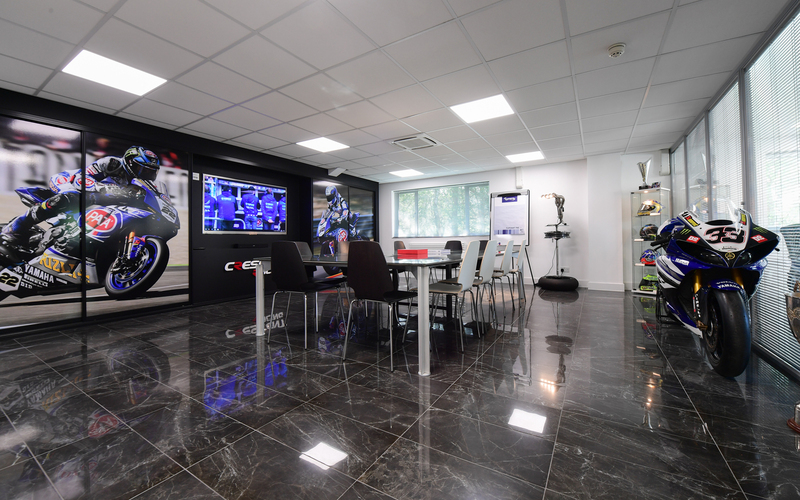 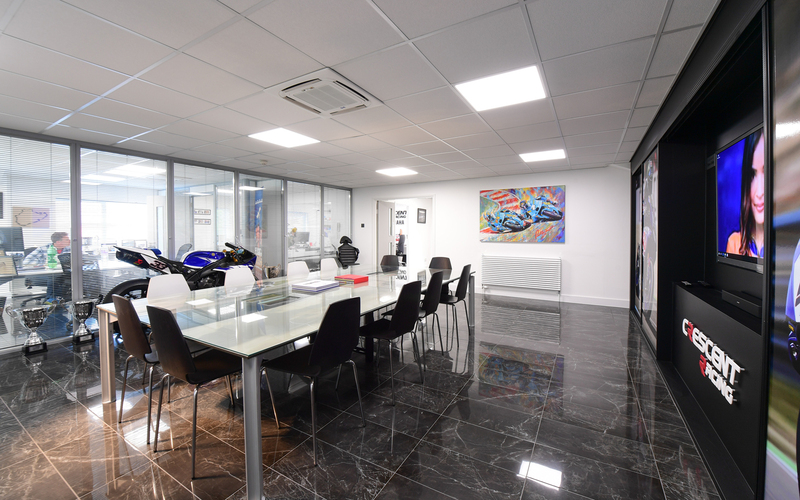 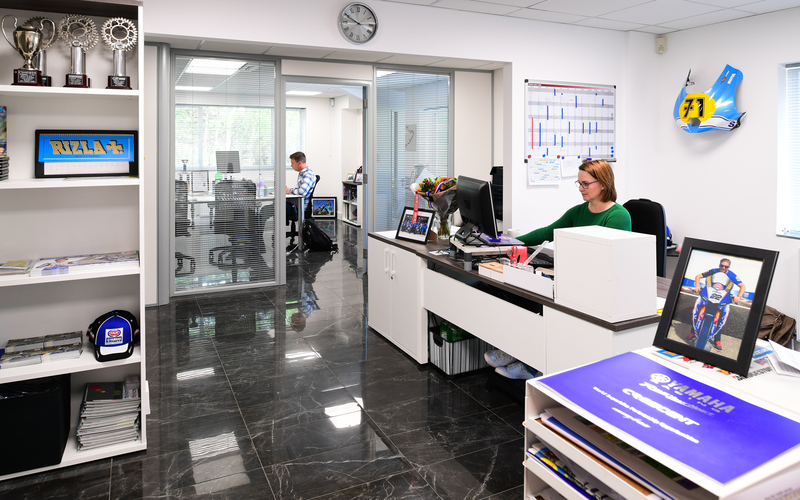 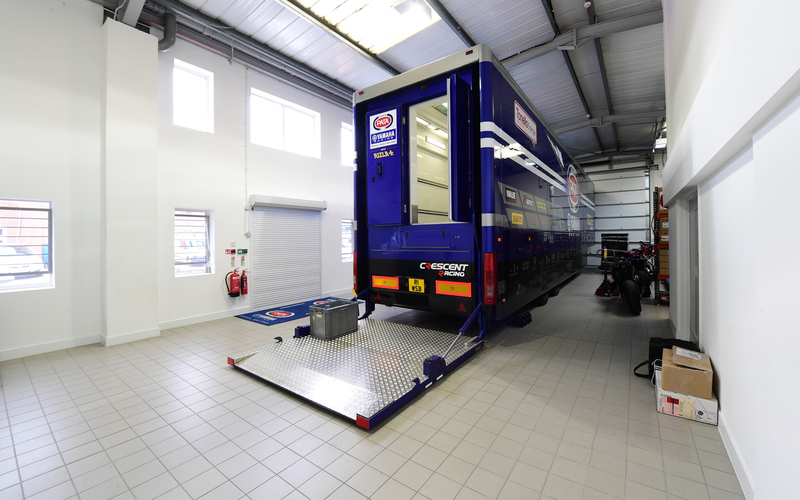 The building incorporates offices, board room, presentation suite, workshop, engine build workshop, secure race truck storage as well as all of the facilities needed for the team members. 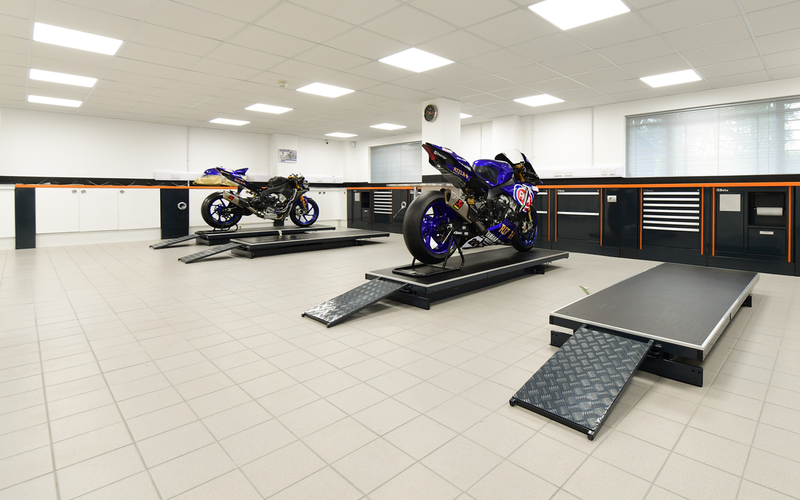 In order to create a space that was both fitting to the requirements, but to a standard to match the levels of investment required to compete at the highest levels, Crescent selected the Minoli Evolution Marvel for the client facing presentation areas and for the workshop environment, the Minoli workshop series. 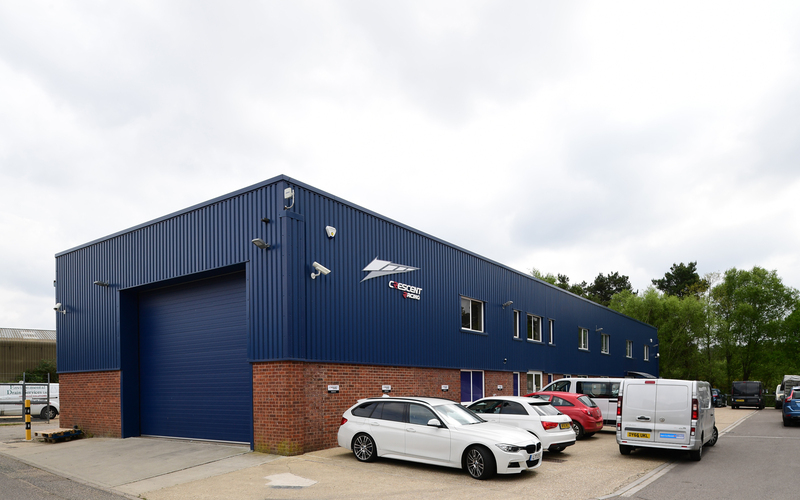 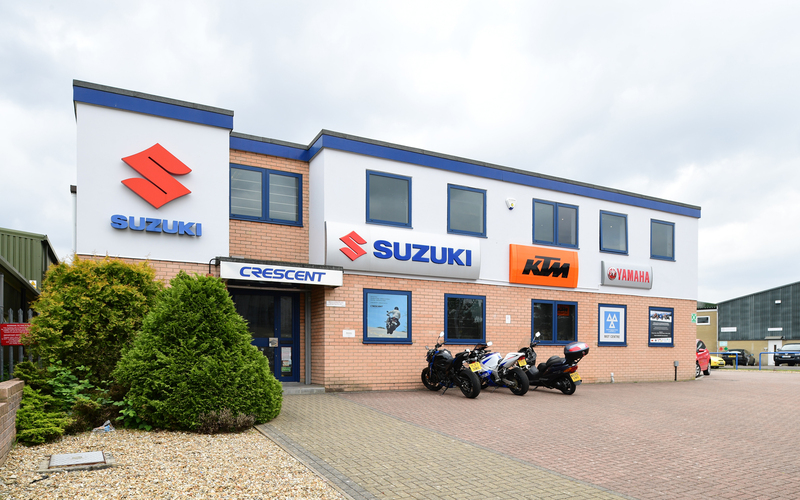 Crescent Motorcycles is one on the country’s leading motorcycle retailers, with branches across the south coast, representing the major brands available, such as Yamaha, Honda , Suzuki and KTM. 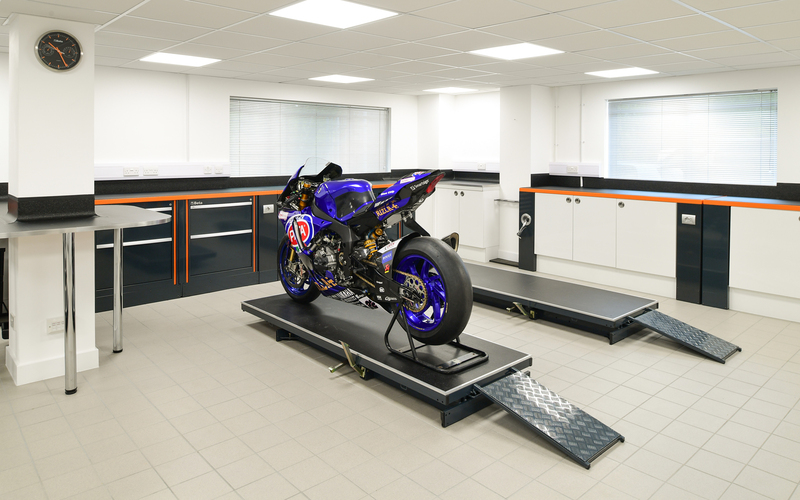 Crescent Yamaha PATA World SBK Team, competing in the world wide superbike series, running the very latest Yamaha R1 world superbikes in a fully factory supported program.